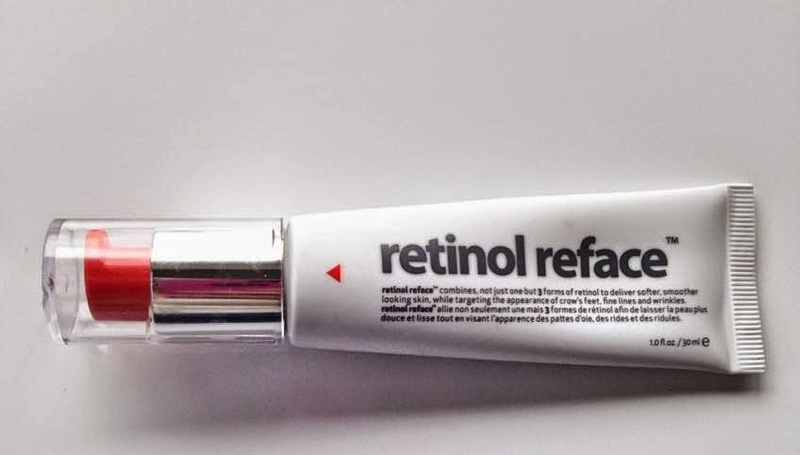 I am always on the lookout for products that will make my skin look brighter, even and radiant and I have heard so many positive things about retinol helping to achieve all of those things, so I decided to purchase Indeed Labs Retinol Reface. I have had mixed experiences with previous Indeed Labs products - I loved the Hydraluron serum but didn't find the Hydraluron jelly to be very effective, so I didn't have any pre-judgements for this product. It is described as having 3 forms of retinol, which combined make the skin softer and look younger, whilst also targeting any fine lines or wrinkles you may have. It is to be used nightly on freshly cleansed skin and for best results, should be used consistently. I will admit that I have not been using this every night because I rotate my night treatments - I also use an oil, a night cream & always Estee Lauder Advanced Night Repair, but I have used it probably 3 times a week for about 4/5 weeks now. It is the first retinol product that I have used, so maybe I was expecting too much but I have to say that I have seen absolutely no difference in my skin's tone, texture or radiance. I would have expected to see something after so many weeks, but no! To be fair, I also didn't react badly to it, which I was very happy about because I have sensitive skin, but I was hoping for some visible result. Maybe this product is targeted at more mature skin, but even so, I thought I might see some improvement in the areas where I have some small scars from spots as a teenager, but no, nada! I'm glad that I bought this when it was on offer a few months ago in Boots, rather than paying full price. I think I might give it to my mother to try & see if she has any more luck. If she does, then the answer may be that it is more suitable for mature skin. I will update this review if she does have some success with it. It does make me quite hesitant about trying more products from the Indeed Labs range because out of the three I've tried, I've only actually liked one! Please tell me what products you like from Indeed Labs? Or if you have been disappointed too?